Brought to you by Elephant Games, creators of Haunted Hotel: Eclipse and the best-selling Mystery Trackers series! Abraham Shadowy bought an abandoned hotel, planning to turn it into a haunted attraction for his guests. But when his guests start actually disappearing, people begin to gossip. Is it all just a publicity stunt for the hotel, or is there something more sinister going on? Join your detective friend James as you search for the truth among Shadowy's mechanical contraptions. 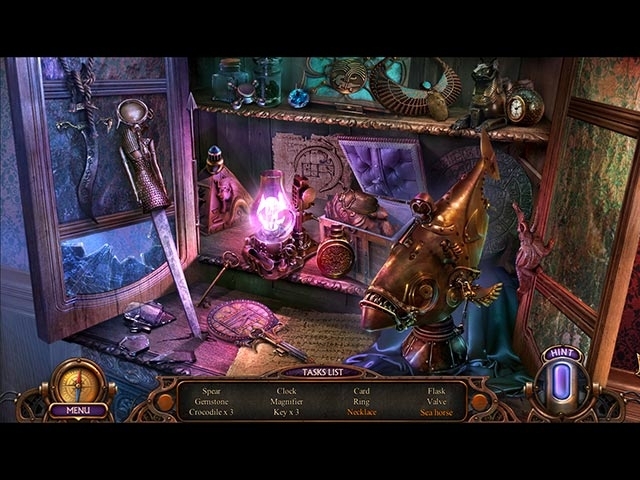 It's dark in there, so watch your step in Haunted Hotel: Ancient Bane, a chilling Hidden Object Puzzle Adventure game!